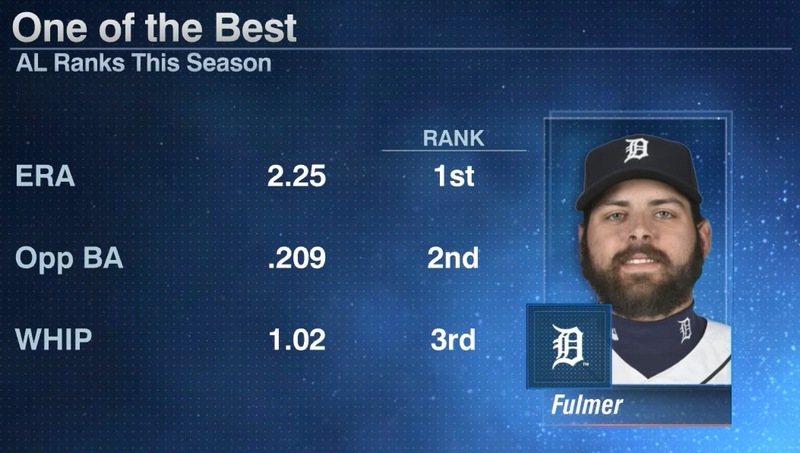 To put it simply, the Detroit Tigers’ Michael Fulmer is a filthy beast. Today’s complete-game shutout of the normally potent Texas Rangers is just the latest testament to his dominance. In this, his rookie season, Fulmer has carved up the American League with a 10-3 record, a league-leading 2.25 ERA, 1.02 WHIP, 103 strikeouts over 120 innings pitched, while holding opponents to a .209 batting average. I’ve seen some refer to him as the Fulminator, but lamely adding “inator” to a name has become a boring cliché since Terminator was in theaters over 30 years ago. Plus, the definition of a fulminator is “one who complains loudly,” which certainly doesn’t describe our hero. He needs a real nickname. He is powerful. He is tenacious. He is stout. He is hairy. He is The Wolverine. Fulmer is a product of the Mets’ farm system, having come to the Tigers via the blockbuster Yoenis Cespedes deal last season, so it seems only natural that he would have a nickname consistent with his former supernatural brethren — Noah Syndergaard (Thor) and Matt Harvey (The Dark Knight). Additionally, Michigan just so happens to be the Wolverine State so it couldn’t be any more apropos. Whether he can grow a set of adamantium claws and ultimately help the Tigers defeat the villains of the AL Central remains to be seem. But he’s quickly becoming one of the best there is at what he does, and what he does ain’t very nice.